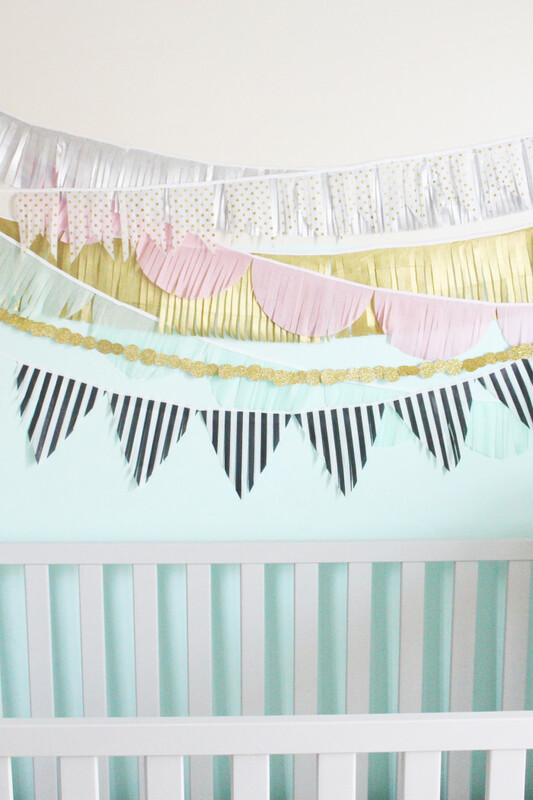 Stella’s room is coming along slowly but surely! I have a couple more bigger projects to complete but mostly just decorating the walls, etc. I’m so excited to get everything out and see all that I’ve collected over the last six months. 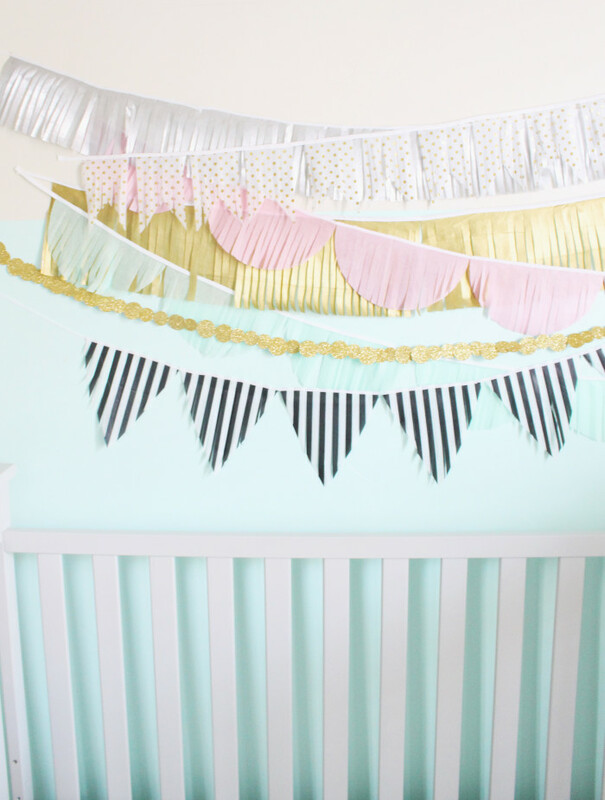 It’s really super sad that I never had a cute nursery to welcome her home in. We were waiting to close on our house at the time and so it made no sense to go wild on the rental. I painted her walls a few weeks ago. I love this sweet minty color I went with and I did the whole room a little more that halfway down the wall, including the doors. I will certainly be posting pics of it all soon (when its done!) and I hope you love it as much as I do. It’s like the whole room was dipped in paint! 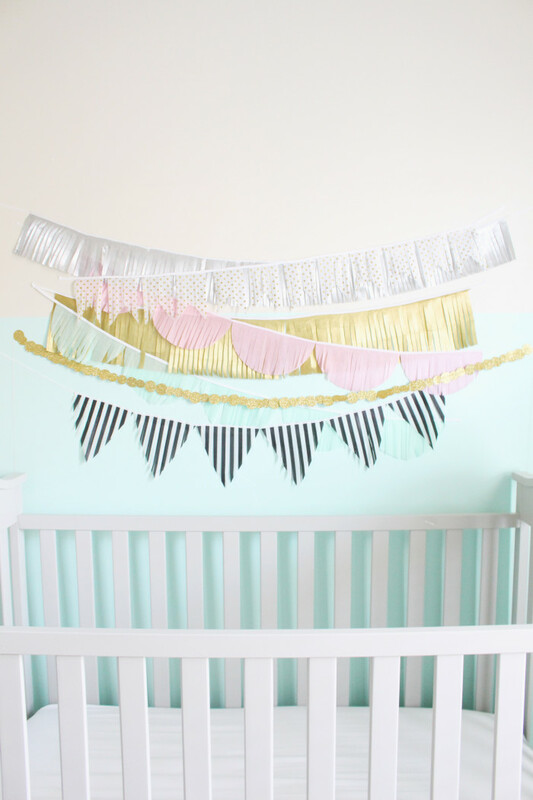 I may not be 100% settled on this right above her crib yet..initially I was planning a picture/print collage but I am in love with tissue fringe garlands and when I realized that I had soo many cute tissue papers already and how easy it would be to make some garlands I hurry and made a million (or 6…) and I do like them where they are! However…soon Stella will realize they’re within her reach and then sad (garland-less) days will be upon us. So we’ll see! 1. 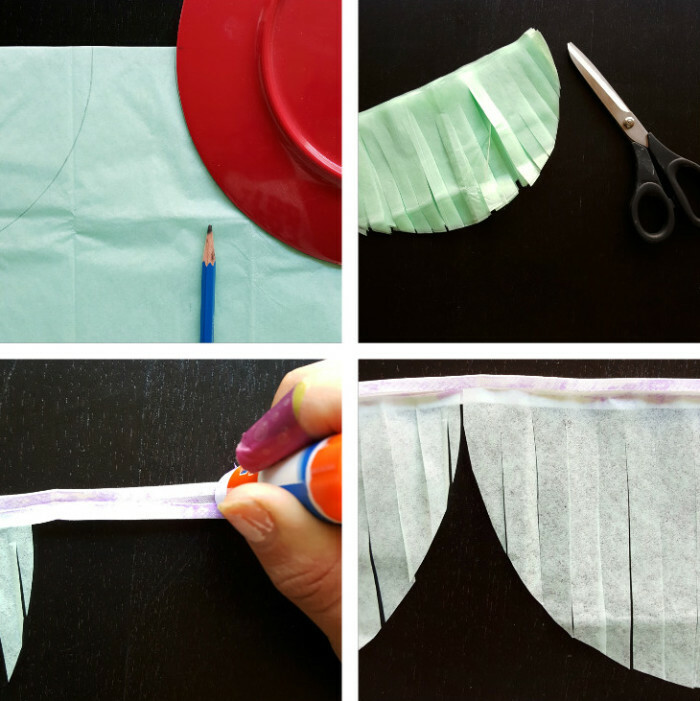 Gather your tissue paper and cut them into various shapes. For the half circles I traced a plate. 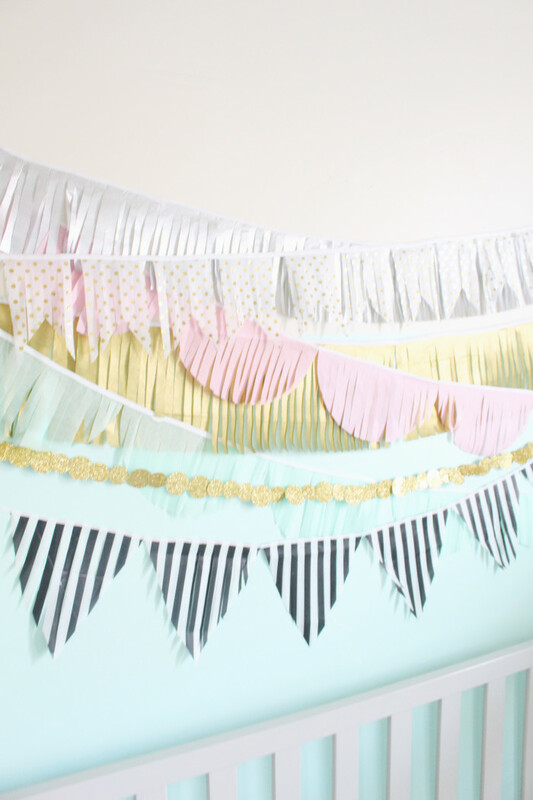 I also did triangles, pennants and some just straight fringing. 2. Cut fringing with scissors but not all the way through the top! 3. Open bias tape and apply glue. 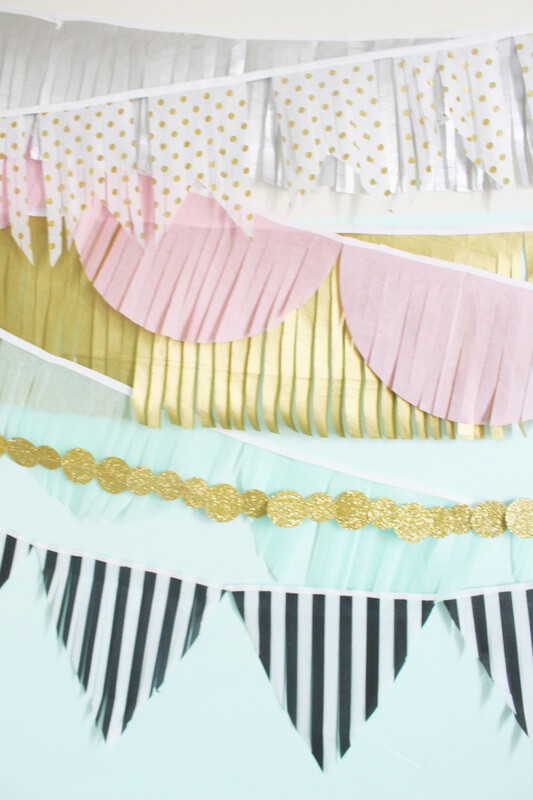 Glue sticks are great because they’re easy and provide plenty of stick for tissue paper. 4. Apply your shapes up to the crease and then fold the bias tape over. 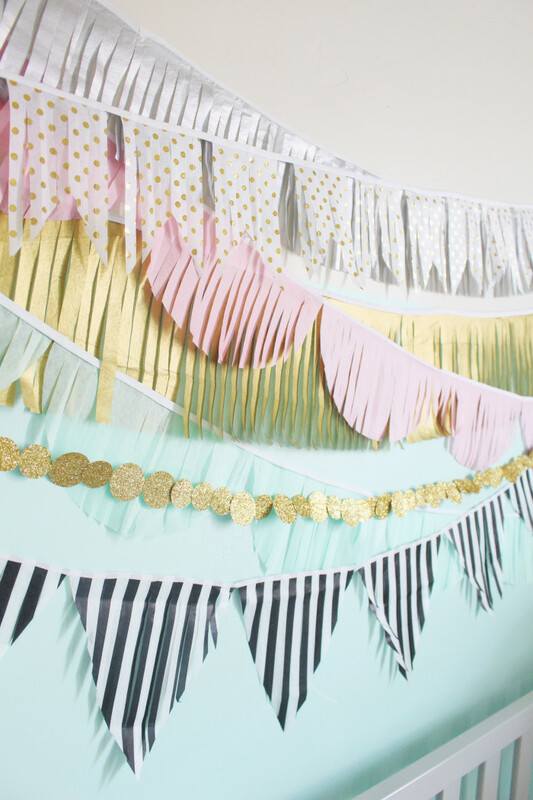 Alternatively, just use ribbons! 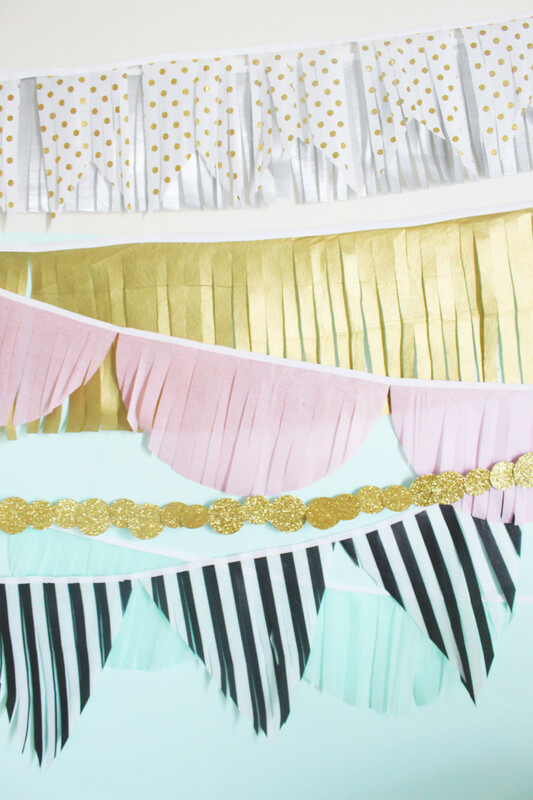 Stay tuned for more updates, DIYs and then the final reveal (eeee!)! 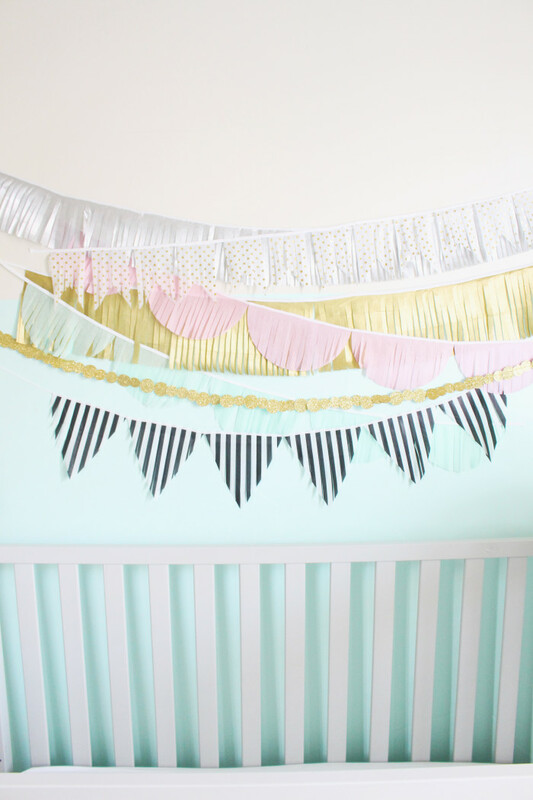 These are so sweet and adorable – perfect for a nursery! Wow! 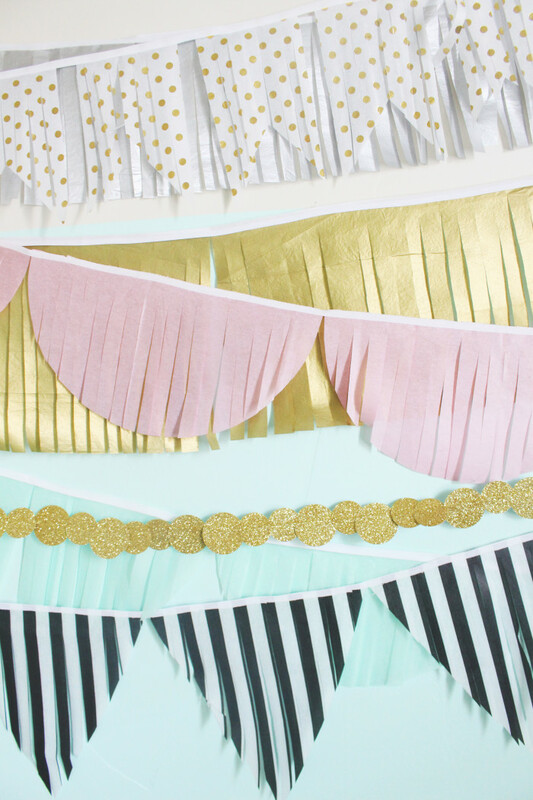 These garlands look absolutely perfect! The colours are so nice together as well! So awesome!